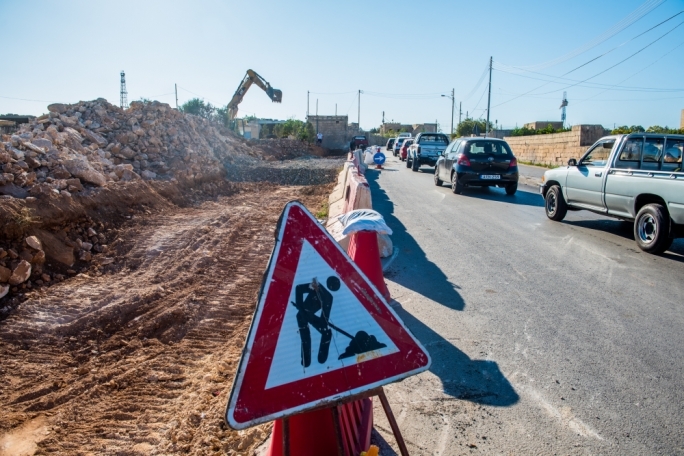 Alternattiva Demokratika (AD) has criticised the government over what it described as the ‘frantic pace’ at which road works are being carried out, which it said was leading to a serious deterioration of safety and security on Malta's roads and a number of tragic consequences. In a statement on Tuesday, AD chairman Carmel Cacopardo said that there was not enough signage put in place to warn drivers of trenching works and other dangers. AD Secretary General and infrastructure spokesperson Ralph Cassar insisted that contractors live up to their responsibilities towards the health and safety of their workers as well as road users. "AD also insists that the competent authorities carry out thorough inspections to make sure that health and safety prerogatives are rigorously upheld,” Cassar said. He added that “the ministers responsible for road works and health and safety seem to be reluctant to enforce proper standards on contractors”, insisting that this was unacceptable. “Despite all the talk about Malta being the best country in Europe, the lack of enforcement of standards paints another picture - that of neglect to the detriment of the lives of people," Cassar continued.